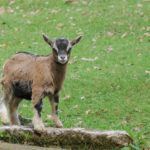 In this post, I am going to list 61 plants that attract honeybees and other beneficial pollinators. Some of them you’ll want to plant in your garden and some you won’t, they’ll be better left for the wild. But anyway, it’s a good idea to know what’s growing around you and how you can plant more to help the bees. Class number six of the beekeeping program that I am taking was all about plants for honeybees. Just a couple of days before the class I planted a whole acre of crimson clover. I didn’t look at the class schedule or I would have waited a couple of days before planting. We had a break in the rain for a couple of days and it was the perfect time to till the field. The ground was just moist enough, not too wet, for the tractor to do a good job and I wanted to get this done so I can concentrate on the planting of the vegetable garden. I wanted to plant a cover crop (read: Understanding Cover Crops and Green Manure Crops). Something that will improve the soil but at the same time provide food for the bees and hopefully will attract them to the new hive I built for them. So I headed to town and went shopping at my favorite place; the local seed, feed, and fertilizer plant. They have a little office in an old building where local farmers can purchase things by the bag even though most of their business is shipping truckloads of stuff across country. We are very lucky to have this option here, their retail prices are on average 25% off of what you’ll find at the local farm supply store. Anyway, they had a few different options for clover seeds and after contemplating it for a few minutes I decided to go with crimson clover. I have so many things going on right now that I didn’t have much time to research the best clover to plant for the bees but I know they see ultraviolet light and that the best colors to attract bees are blue, purple, and violet. (Here is a good article about bees eyesight). Crimson, being a deep deep shade of red that is almost purple, I figured it would work well. I was very pleased to learn a couple of days later in class that I was right! DIY Top Bar Hive From a Barrel. 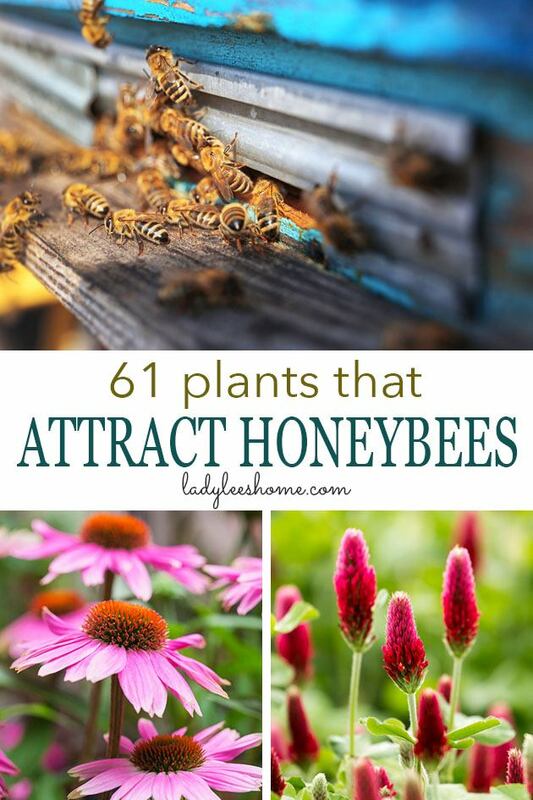 61 Plants That Attract Honeybees (this post!). How to Set Up a Trap Hive. Location – I live in growing zone 7b, in central NC. The plants listed here are local plants that grow well here. Some of the plants below will grow in your location as well but you’ll have to do some research to make sure of that before you purchase anything. 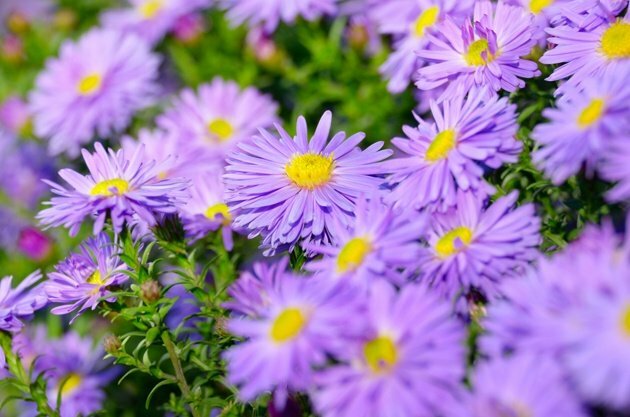 Wild plants – talking about purchasing… I am not listing these plants as a shopping list for you. This is more for us to be aware of what bees like. 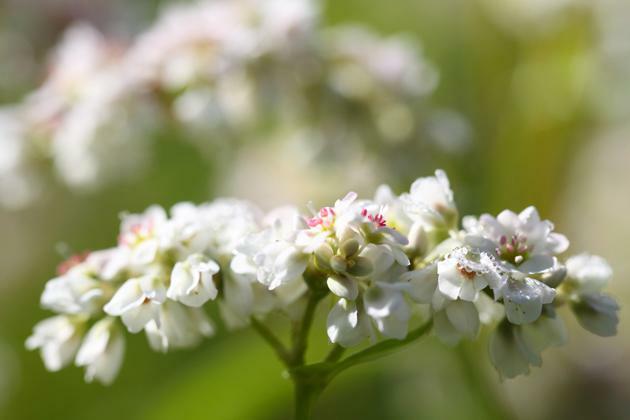 Look around and get familiar with the native plants of your area. It is said that bees will travel two to three miles from the hive to forage, so your bee yard doesn’t have to include all of these plants. 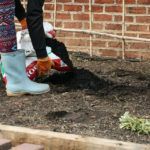 You can look down the list and pick the plants you do want to grow, but please take a moment to research them before you do that. DO NOT go planting Kudzu on your property! Or you’ll be cursing me till the day you die and we don’t want that, right? On the other hand, plant some lavender my friend. The bees, the neighbors, your grandma… They’re all going to love you! 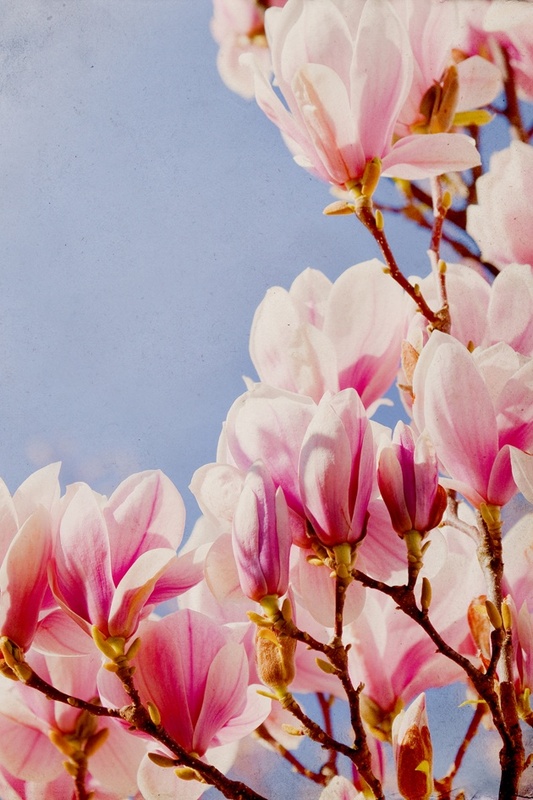 Noninclusive list – of course, there are many many more plants the bees like. Those below are the main ones in our area and the ones we should really be aware of. Attracting Native Pollinators – information not only about bees but also butterflies and other pollinators. Honey Plants of North America – an older book. You won’t find breathtaking photos here but a very good book that lists many plants. American Honey Plants – Another great old book. If you know of another good book about plants for honey bees and other pollinators please list it in the comments below. I am going to divide the plants by flowering season. So the plants I list under winter are plants that flower during the winter and provide some nectar for the bees during that season. 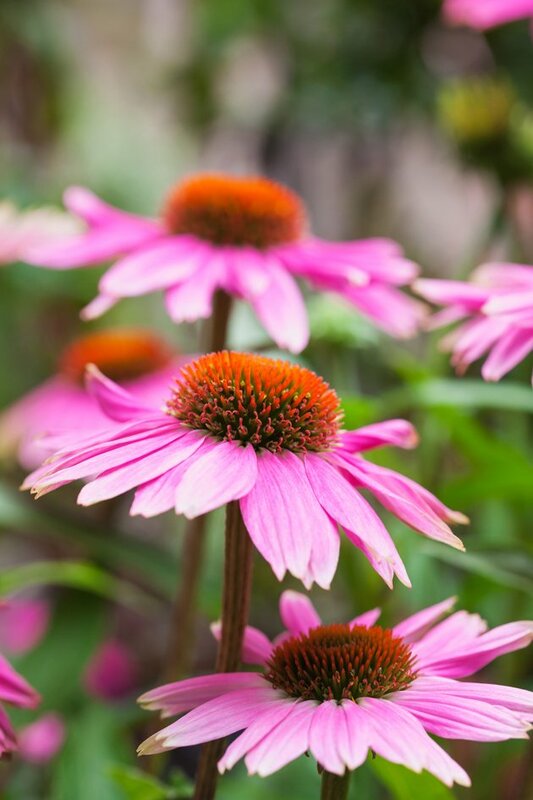 I think it will also help you choose plants if you wish to have color in your garden year round. (This is when the bees really start to make honey in quantities. 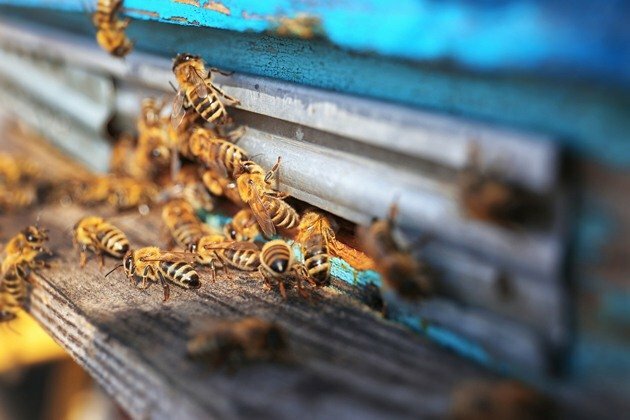 After the flowering of those plants, here in the South, at around June, if your hive is more than a year old you will be able to harvest some honey). Again, there are many many more plants that bees love but I hope this list gives you a good place to start and helps you understand better what to look for when you are driving around. Remember that you don’t have to go plant all those plants, many of them grow wild in nature, but it is important to get to know our surroundings better so we know what’s available. On the other hand, if you are planning to plant a bed of flowers or some bushes around your house, I want to encourage you to choose plants that bees love even if you don’t have bees. 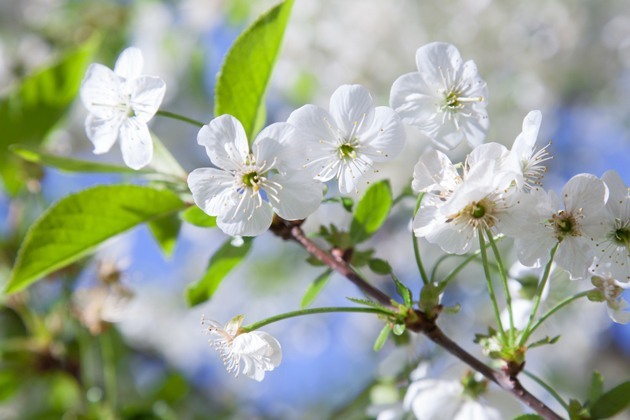 First, they are flowering plants, so needless to say, they are beautiful, and second, you’ll be helping bees and other pollinators which is very important. I am planing to throw some flower seeds in the field of clover that I planted. I hope this will work well. I’ll post some photos here on the blog and on social media so make sure to follow along. I’m currently growing 17 on your list but have just pulled some of the older herbs and starting fresh ones this year. One of my pet projects is to attempt to make a few Rosemary trees as potted garden ornamental. Another herb that the bees love “Big Time” is Sage. I grow 4 big ones, standard variety and it sounds like a bee factory when in bloom. At the end of bloom I cut it back hard and can get a 2nd bloom though a bit smaller. I companion the Sage with strawberries. Butterfly Bush, though beautiful in bloom, is now a classified invasive here in Washington state, it’s illegal to sell or transplant, and I see my neighbors battle horribly with it…..but I think it would make a nice hedgerow plant for large property border lines and young shoots can be used in wattle fence and Appalachian garden furniture similar to Willow……. Lilac might still be safer, a bit slower in growth and still attract bees and hummingbirds. Hollyhocks are also loved by the bees (and me) and last year I worked to collect as many seeds as I could to replant. I did plant some in the fall and they sprouted but didn’t make it through winter. 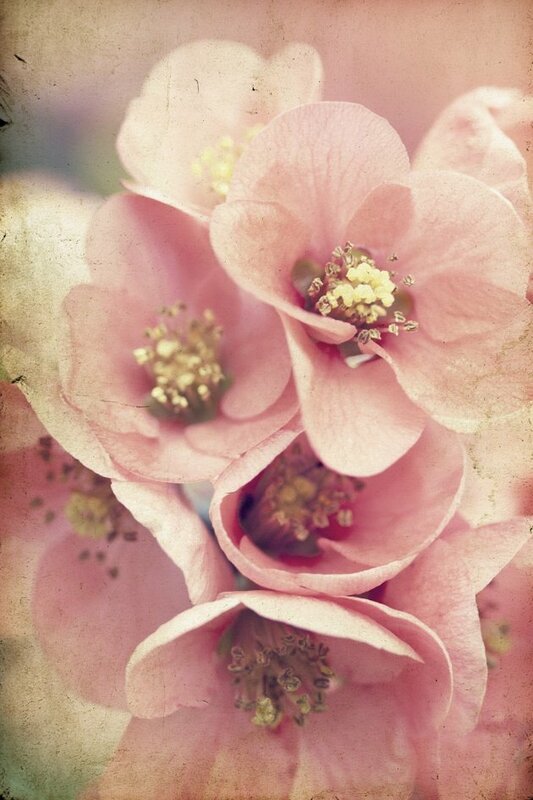 I just replanted the remaining seeds. Garlic is another good one. (My Lesson) I have discovered that cutting off the blooms & stalk (scape) does not alter or enhance the growth & clove development of the bulb as so many claim. They are an allium not a cultivated tulip. If you want the scapes to make pesto just take what you need when they are young and tender and leave the rest to go to bloom for the bees. I am also finding that Elephant garlic can become some-what of a pest but you can spring harvest what is called “Green Garlic” (undeveloped) and eat it. It dries out fast so you need to clean it up, use it or freeze it for later. I went door to door and shared it with neighbors. What a smell! Cheers! 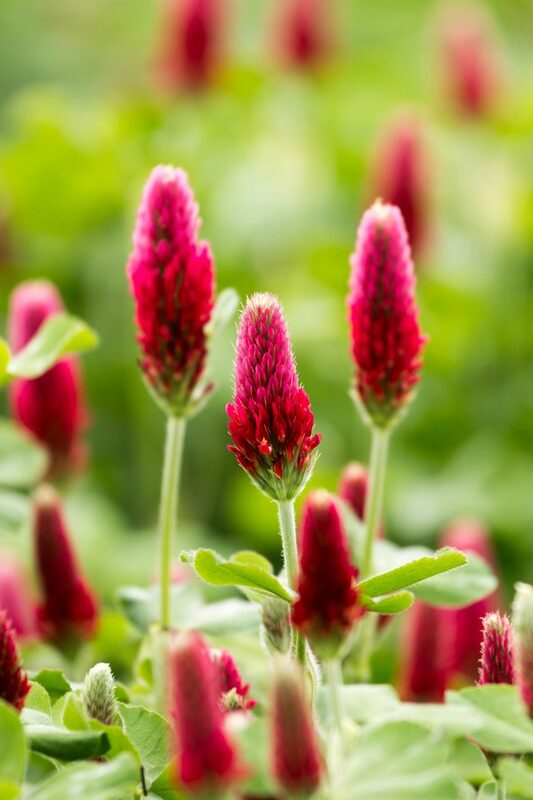 on your Crimson Clover choice and I have to say Crimson Clover is bloom will take your breath away! So beautiful! I can’t wait for the clover to bloom! It didn’t germinate yet and I am starting to worry a bit since it has been a couple of weeks but the weather here is awful. Very cold and we even had snow last week. I didn’t know the bees like the flower of the garlic. The varieties we grow here in the south don’t grow the scape and don’t flower so I never thought about garlic flowers for pollinators. That is interesting because I would think garlic will be more like a repellent. We’ve been having up & down weather here in the PNW also and last week snow fell in the Seattle area, still seeing some frost on rooftops. On good days I’m seeding, then rain hits and temps drop and I too am hoping the seeds will germinate. I saved a bunch of milk and vinegar jugs to do mini-greenhouses for in-ground seeding and the seed stays well protected. I’ve tried this several times before with wonderful results and there’s no transplant shock. If you can get your hands on some Elephant garlic, see if you can get it growing. I started with 7 and have hundreds now! Haven’t bought garlic for about 8 years now. I’m experimenting with a back border where the garlic has grown thick, I cut it all back to the ground and seeded with flowers and Swiss Chard. I’m curious to see what the garlic will do and if it doesn’t make it I’m pretty sure it will add some good stuff to the soil. We had snow here last week! It’s crazy but I cant wait any longer either… I have an agri fabric that I am going to use to cover the plants. Never heard about him. I’ll check it out. Thanks. I was told by my County Extension Horticulturalist that you don’t want sterile plants (your comment on mimosa) because they don’t help bees – now that I’ve said that, can’t remember exactly why. I live in Cheyenne, Wyoming, and I’m getting bees next month, so I’m reading Everthing! Good luck. I am still waiting for the bees to come to me! My hive is baited and is waiting in the field but no bees yet. I hope a swarm will move in soon.